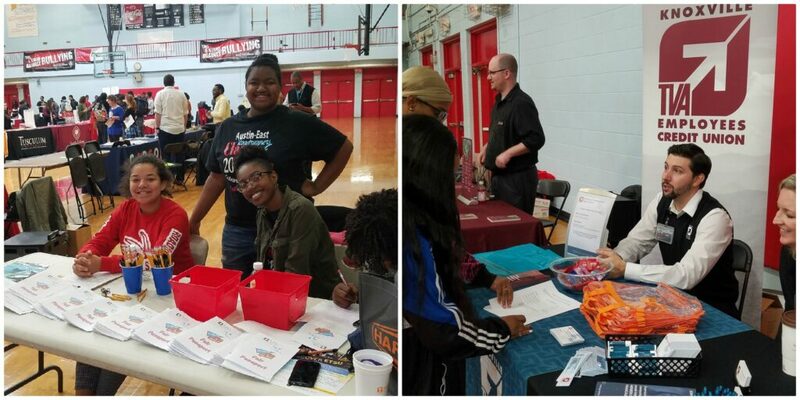 The Project GRAD/A-E team just completed their annual College and Career Fair which is held at the school during the school day to expose students to a variety of postsecondary options. Students rotate through the event meeting college and career representatives, asking questions, exploring possibilities and making plans. It is hugely important for students to be engaged in experiences that make them aware of their opportunities after high school. 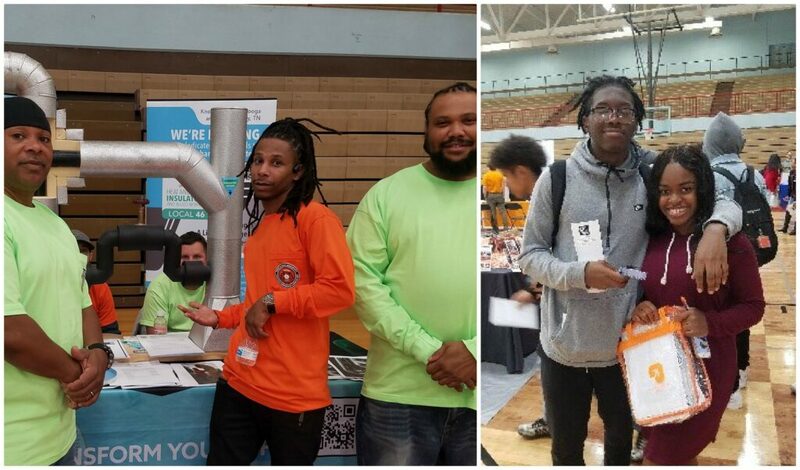 This year was the biggest fair ever with 56 representatives from universities, colleges, trade schools, technical schools, businesses, non-profits, and more. The event was upbeat and lively as you could hear the conversations among participants. It was particularly delightful to hear students discuss plans for their futures. Project GRAD seeks to increase education, experiences and exposures to postsecondary pathways for students who are often underrepresented in colleges and higher wage careers. While the students have capability, they are often limited in know-how or access. The College and Career Fair is just one of the events provided by GRAD. There are also opportunities to attend college tours, complete Summer Institutes on college campuses, participate in job shadowing, internships and more. It’s about encouraging our students to turn potential into planning. It’s about having a game plan and beginning with the end in mind. It’s about increasing aspirations and changing lives.